Saudi Aramco and GE are partnering to install Saudi Arabia’s first wind turbine at the Turaif Bulk Plant in the north-west of the kingdom. The project is in line with Saudi Vision 2030 that has set an initial target of generating 9.5 gigawatts (GW) of renewable energy. The project marks the first regional installation of GE’s ground-breaking model 2.75-120 Wind Turbine, which has been specifically customised for the kingdom’s climatic conditions. 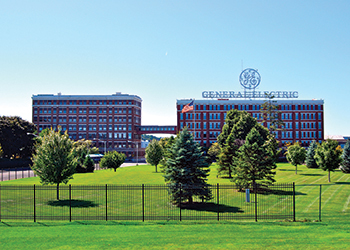 GE’s Wind Turbine is a digital industrial solution that draws on the Industrial Internet platform by analysing tens of data points every second to achieve higher levels of energy output and greater operational efficiency. Abdulaziz Al-Judaimi, vice president of Power Systems, Saudi Aramco, says: "We are committed to efficiently meeting the kingdom’s energy demand through our fuel optimisation programme and by supporting renewable energy development. The demo installation of GE’s Wind Turbine will enable the Saudi Aramco and GE teams to build expertise in executing wind projects in the kingdom." Hisham Albahkali, GE’s president & CEO for Saudi Arabia and Bahrain, says: "The installation of GE’s Wind Turbine by Saudi Aramco, our long-term partner, underlines our commitment to promoting renewable energy in the kingdom." "This state-of-the-art wind turbine is designed for challenging conditions. Building on our global operating experience in desert areas, we have worked with Saudi Aramco’s team to customise the turbine and optimise its performance for the kingdom. This is a strong example of how we work with our partners to meeting the goals outlined in Saudi Vision 2030," he adds. Several studies have confirmed the potential for wind energy generation in the kingdom, particularly in the northern region. According to the Renewable Energy Atlas, higher wind speeds near 8.0 m/s and above (well above a standard economic viability speed of approximately 6 m/s) occur in the northeast and central regions of Saudi Arabia, as well as near mountains in the western region.